A Premium Newsletter by WPCouple! Know what's happening in the WordPress Community! We will help you take intelligent business decisions! 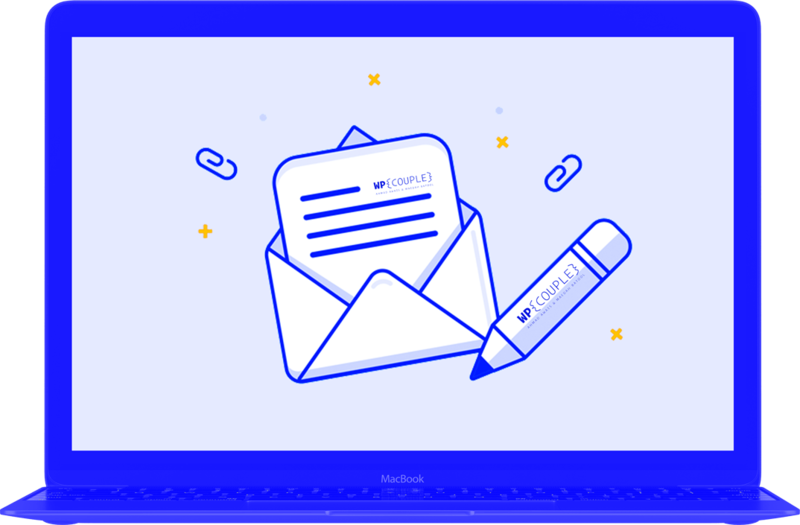 A premium WordPress newsletter for EVERYONE! This is our investment in you. So, you can invest in us, one day. Subscribe now, while the newsletter is free. After beta, it's $49 per year for subscription. Subscribe only if you're going to read it regularly. It's a bi-monthly newsletter with actionable advise for Beginners, Developers, Product-managers & Marketers. Easy to gulp, and useful info. To-The-Point™ — Cut through the fluff & bull****. A Premium Bi-Monthly Newsletter by WPCouple! For Serious Subscribers Only! — No spam — 👻 PINKY PROMISE! Ahmad Awais - Maedah Batool "Great article." — In response to an article we wrote about: WooMattic Turns One! A Critical Analysis by WPCouple. Ahmad is a very thorough writer and he is extremely knowledgeable of the WordPress industry. He knows exactly what is going on in the WordPress community and his outreach is an addition to any blog. I would recommend him. For our AWP Giveaway with over $100K in prizes... I want to personally thank all 21,379 members and the sponsors of it. But my most sincere thanks goes to Ahmad Awais (& Maedah). This was a GIGANTIC effort. Quite literally a historic Giveaway in the history of WordPress and they led the effort, spent tons of their personal time and did it all with a smile. Thank you, Ahmad & Maedah! Ahmad is kind of like Chris Lema but in a more nerdier and younger version. For me Ahmad Awais is the friend with whom I have discussed many ideas that I wanted to pursue and business-challenges. I always end up having a lot better perspective of stuff at hand after the discussion. I've read over Ahmad's tutorial a few times and implemented most of it. He's the bee's knees for this kind of stuff. — In ref to the WordPress & Gulp implementation via WPGulp. I've never known someone to create such useful things on a regular basis. Truly impressive sir. I mean it. You just pump stuff out. It's incredible.